ISLAMABAD: Gallery 6 brings an exclusive exhibition of paintings by Mobina Zuberi in which she has captured snap shot moments through lines and brush strokes. Mobina’s present exhibition titled “The Moment” is unique in the sense that it displays two very different genres of paintings with distinct interaction – one dealing with women and other with abstractions. 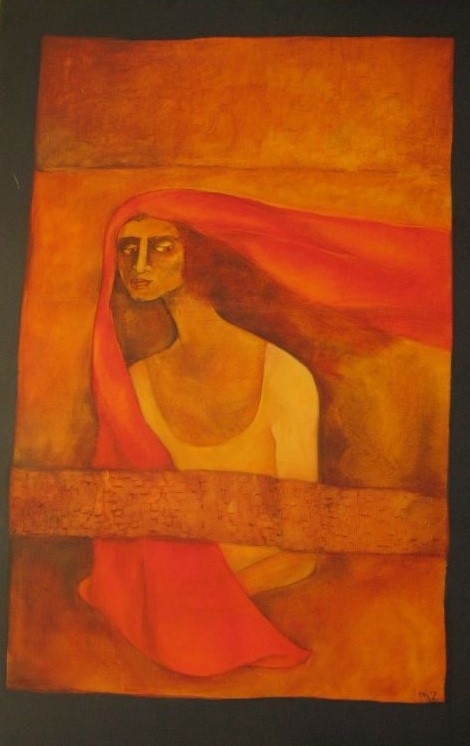 Mobina has been painting since 1970s and over the years she has produced diverse series of work. However, the recent paintings of Mobina are not decorative materials for the drawing room – an approach that is gaining popularity among some contemporary painters but these are pieces of imaginative art work in which figures are not static and bland. 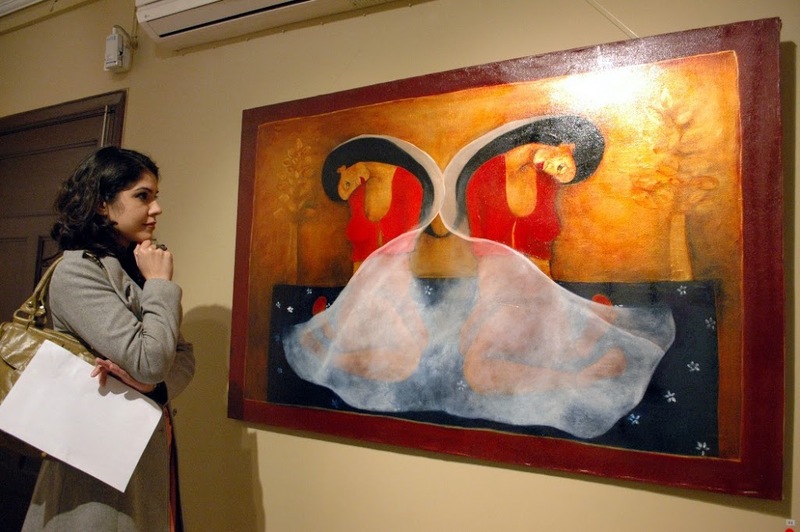 Dr. Arjumand Faisel, the curator of the gallery said that “this is a landmark return of Mobina Zuberi to the figurative painting as the artworks are starkly far more powerful than any of her previous work that I have seen. Capturing the snap shots of split second momentary expression, she creates the entire mood of that moment with minimal lines and brush strokes”. Mobina’s women are neither beautiful glamorous woman nor are they fairy tales princesses, mythological figures or folklore legends. In a distinct contrast, these are simple drawings that use paints to portray a relationship with a moment or an internal feeling which create a bond with a happening – something that is part of the routine life. This creates an element of drama, a story, a moment. Mobina is able to create the presentation of these emotional feelings by the choice of a pose, a posture, contour, a definite gesture on the faces of these women, and her own form of sketching. The effect is further enhanced by her adopted treatment and texture on the canvas. Fascinatingly, one sees Mobina wandering in distinct paths with her women. One of her palette is dominated by white, interspersed with minimal black and different earthen hues. They carry a soft, sombre mood or an appeal of innocence. In another, it is more colourful, but women are in more thoughtful and meditative moods. While in other paintings, bright, vibrant colours are spread over the canvas creating cheerful and witty moods. These paths do not appear to be intentionally designed, but comes out as natural reflections of her different moods. Interestingly, none of her works shows any grotesque or appalling form. The exhibition will continue till 20 February, daily from 11 am to 5 pm, including Sundays.